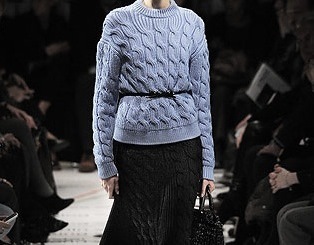 I confess that Prada's fall collection made me look at this old Gap sweater with new eyes. Why belt something when you can Zana Bayne harness it? I think your ensemble is stunning. I especially loved the use of a Zana Bayne Harness. now that is seriously the cutest thing I've ever seen! isn't that the best? being inspired by new stuff to wear old stuff news ways. it gets me all excited to get dressed. Your outfit is really incredible, I really really love the use of the harness! All into sweaters right now. 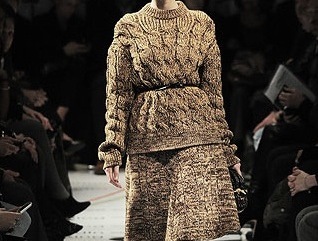 You should be on the runway with that sweater. Nice! Thanks for sharing and drop by me too when you have time. It looks miles better with a harness than a belt. The colours are lovely too. Good job! It's fun when the old suddenly looks new. HELL YES. I stole my mom's old Jaeger wool cable knit sweater for exactly the same reason. Plus, you're wearing the AA skirt! Fantastic. 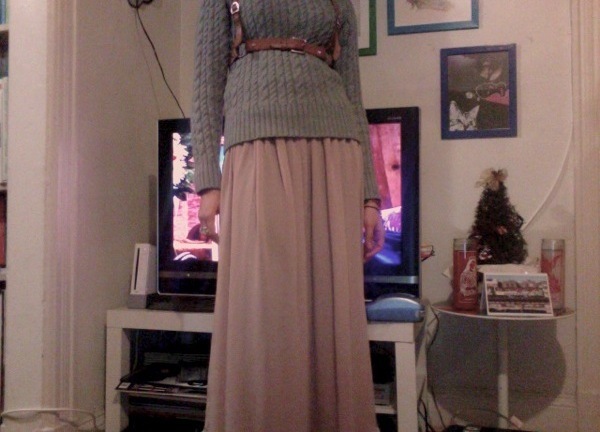 The harness is pretty brilliant with the otherwise modest sweater. Also love those shades..